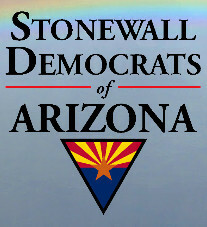 Stonewall Democrats of Arizona: proud sponsors of Tucson Pride 2014. 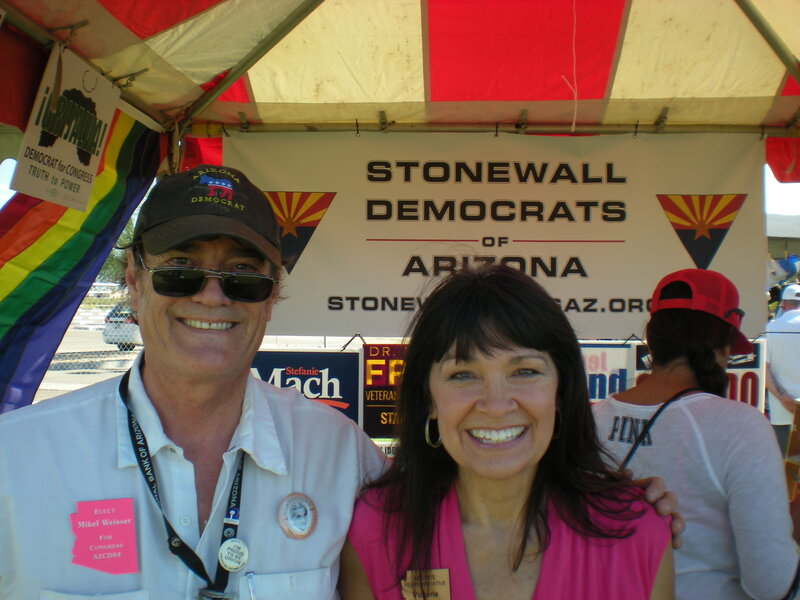 On Saturday, October 11th Stonewall was part of Tucson's Pride Parade and on Saturday, October 18th, one day after Judge John Sedwick of the 9th U.S. 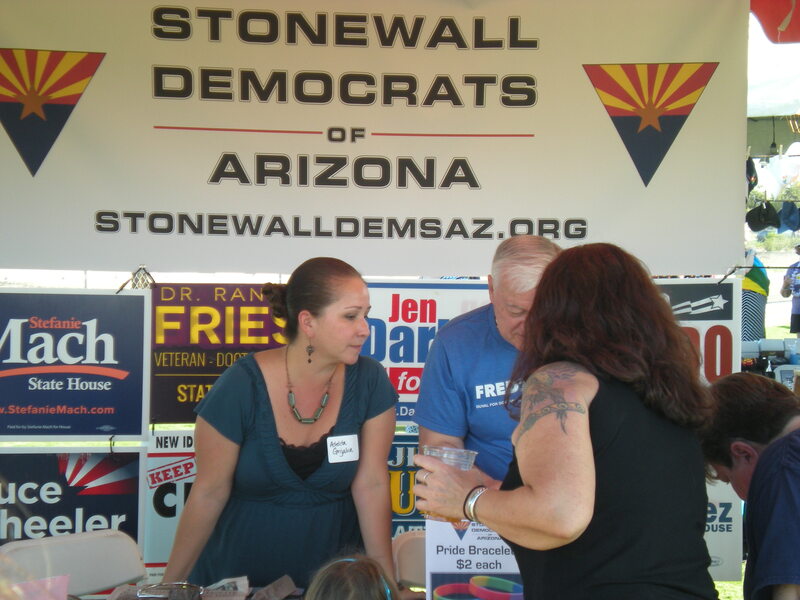 Circuit Court of Appeals ruled that Arizona's law banning gay marriages was unconstitutional, Stonewall had a booth at Tucson Prides' 37th annual Pride event. 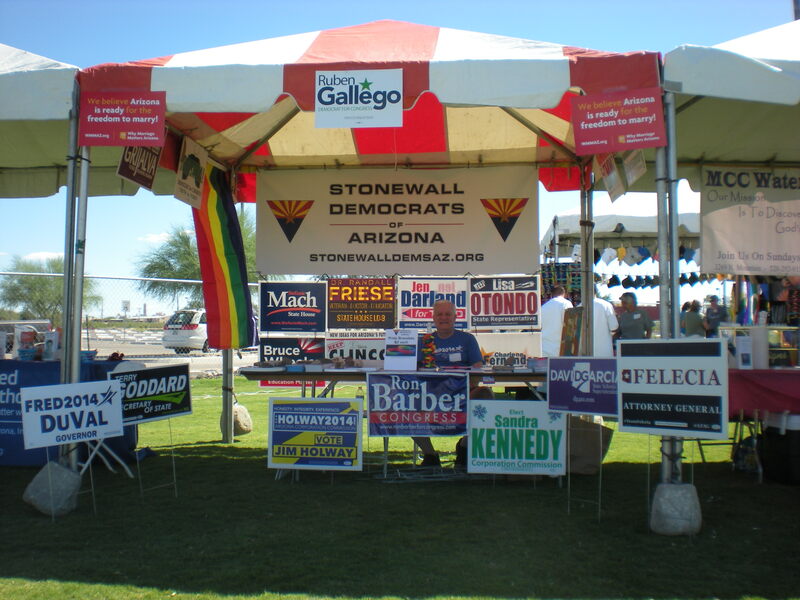 Stonewall is very proud to have been the face of the Democratic Party at this event in that we were the sole political entity at this years Pride which had an unofficial attendance of 6500 potential voters at Kino Sports Complex. We would like to thank Adelita Grijalva, Diana Rhodes, Dr. Randy Friese, Sen. Olivia Cajero Bedford, Rep. Victoria Steele, Rep. Demion Clinco, Rep. Rosanna Gabaldon, Mikel Weisser, Tucson City Councilor Regina Romero and everyone else who stopped by to help us get out the vote. Stonewall Democrats Secretary/Treasurer Richard Adams. 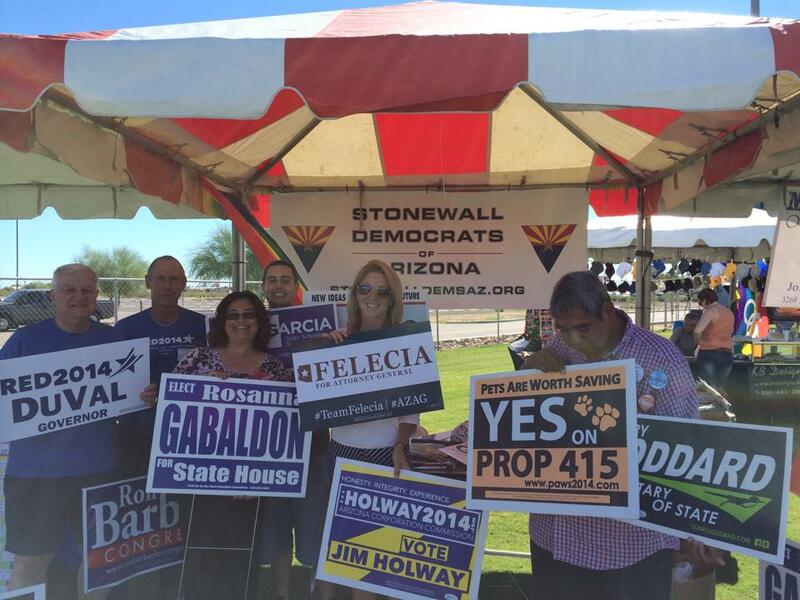 (L - R) Stonewall Dems Treasurer Richard Adams, Stonewall Dems Chair Robert Rowley, Rep. Rosanna Gabaldon, Andres Gabaldon, Diana Rhodes and John Finkelstein. CD-4 Candidate, Mikel Weisser and LD-9 Rep. Victoria Steele. Tucson Unified School District President Adelita Grijalva and Richard Adams.